Creative Technology Ltd today launched an all-new series of small but powerful USB audio solutions for PCs, Macs, smartphones and tablets -- The Sound Blaster E Series. Consisting of the Sound Blaster E3 and the Sound Blaster E1, the Sound Blaster E Series builds upon the popularity of the Sound Blaster X-Fi Go!Pro. They utilize USB plug-and-play connectivity to provide PC, and now even Mac users, with access to a powerful USB audio experience through real-time advanced audio processing. Top audio quality is ensured even on smartphones and tablets through the Sound Blaster E Series' high SNR levels and 600Ω headphone amplifiers that supply more power than a standard headphone jack. The Sound Blaster E3 can also function as a high performance USB DAC for selected smartphones and tablets, and users can alternatively enjoy high quality wireless audio by pairing with smartphones and tablets via Bluetooth. "Since the inception of Sound Blaster, we have provided the best audio quality for PC and Mac users. That being said, the mobile market has rapidly grown, creating opportunities for entertainment experiences on the move that only a few years ago were confined to the PC or living room. With the Sound Blaster E Series, we are not only able to enhance the PC audio experience, but have gone beyond it. These devices capitalize on our high-end audio expertise, and give smartphone and tablet users the opportunity to experience uncompressed audio quality while on the go," said Long Chye Low, General Manager for Sound Blaster Audio at Creative. The all new Sound Blaster E Series is led by the Sound Blaster E3, a powerful USB DAC & Bluetooth Headphone Amplifier. When connected to PCs and Macs, users can utilize the downloadable Sound Blaster E Series Control Panel software to access the full suite of SBX Pro Studio audio enhancement technologies, giving users a powerful and fully customizable listening experience for movies, music and games. 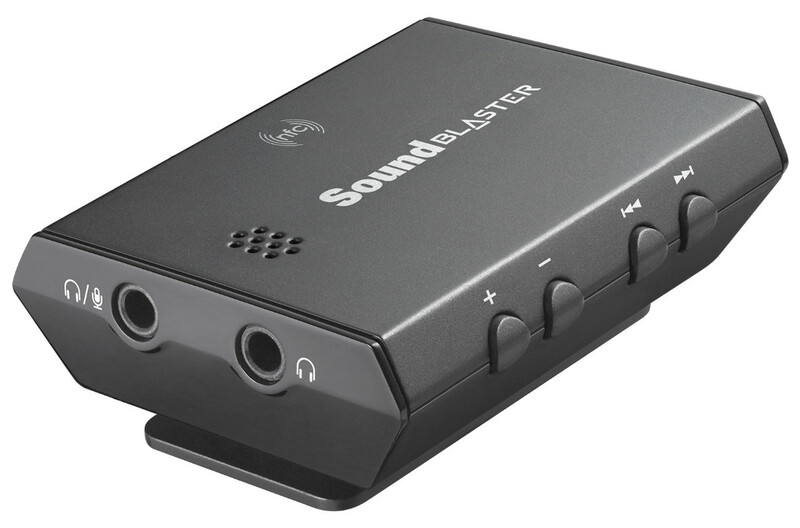 Users can also utilize the Sound Blaster E3's 600Ω headphone amplifier (600Ω amplification capabilities) for audio listening from smartphones and tablets. Additionally, the Sound Blaster E3 features Bluetooth connectivity, which allows the device to connect to smartphones and tablets wirelessly for up to 8 hours of wireless audio playback. 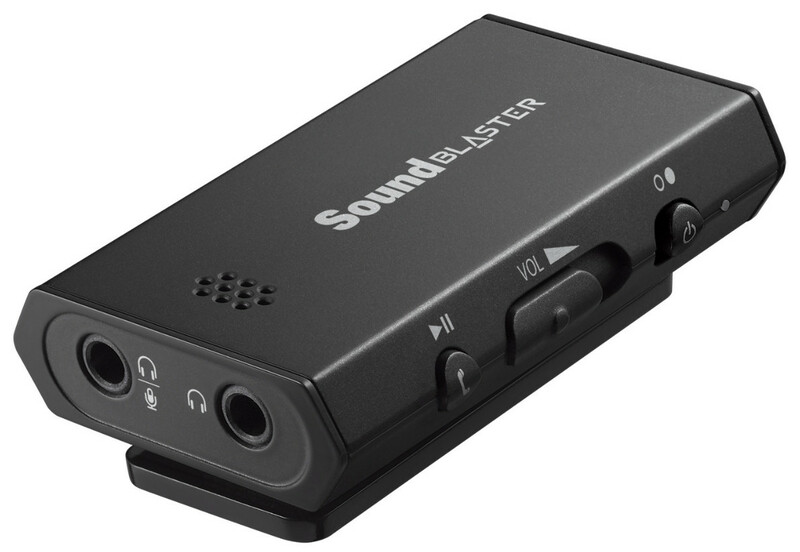 The Sound Blaster E3 also functions as a portable USB DAC, so users can connect the Sound Blaster E3 to selected smartphones or tablets via USB for uncompressed digital audio streaming. Utilizes a simple plug and play USB connection for PCs and Macs. This provides users with high-resolution digital audio while charging the device. Gives up to 8 hours of battery life when wireless Bluetooth is enabled. When used in analog mode, battery life lasts up to 17 hours. Features powerful voice recording and clear voice calls via the built-in microphone that virtually transforms every headphone into a headset. When connected to PC and Mac via USB, users can utilize CrystalVoice Technology for real-time voice enhancements. Utilizes a simple plug and play USB connection for PCs and Macs. Gives up to 25 hours of battery life. Features powerful voice recording and clear voice calls via the built-in microphone. When connected to PC and Mac via USB, users can utilize CrystalVoice Technology for real-time voice enhancements.